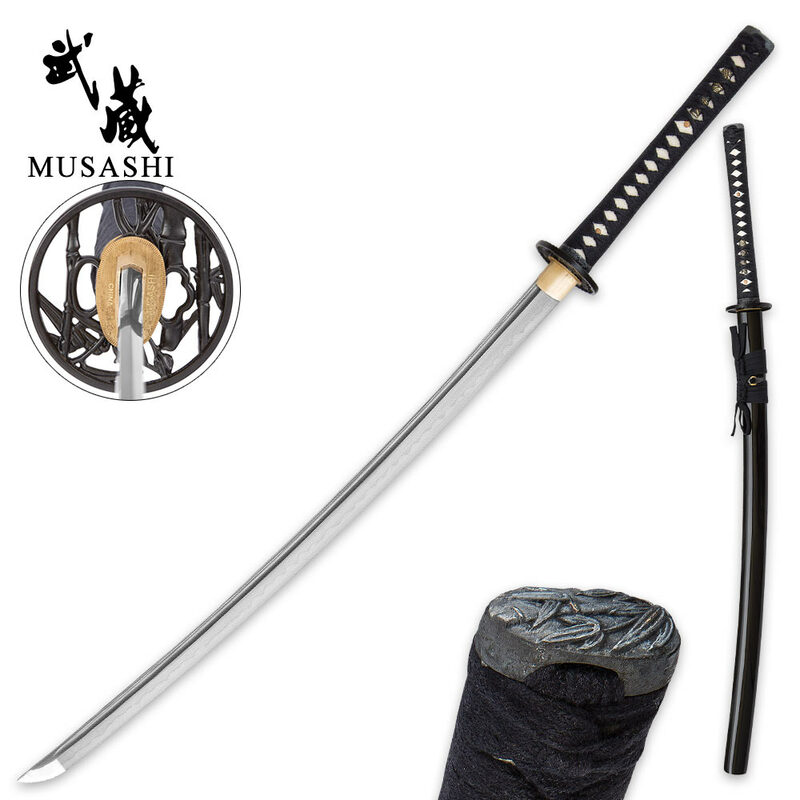 Musashi Hand-Forged 1060 Carbon Steel Samurai Sword | BUDK.com - Knives & Swords At The Lowest Prices! 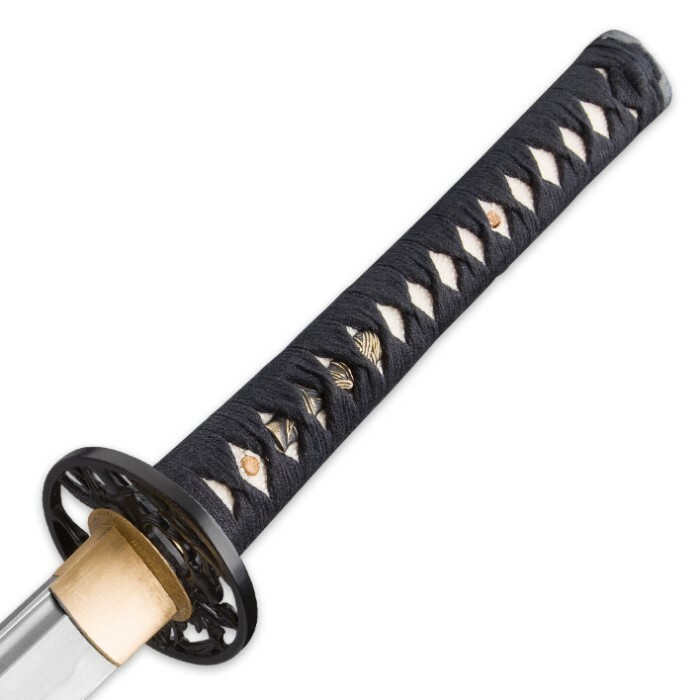 Our Musashi swords are known for their high performance, attention to detail and custom designs - a tribute to legendary swordsman, Miyamoto Musashi. This sword features a beautiful, 28” hand forged 1060 high carbon steel blade that is razor sharp. It has an openwork design tsuba and a hardwood handle with traditional black nylon cord wrap. 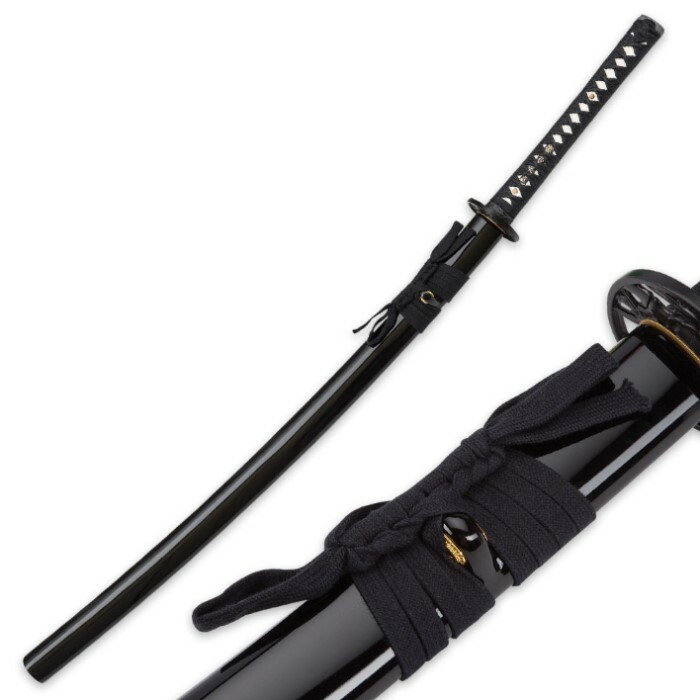 A black lacquered scabbard houses the blade.